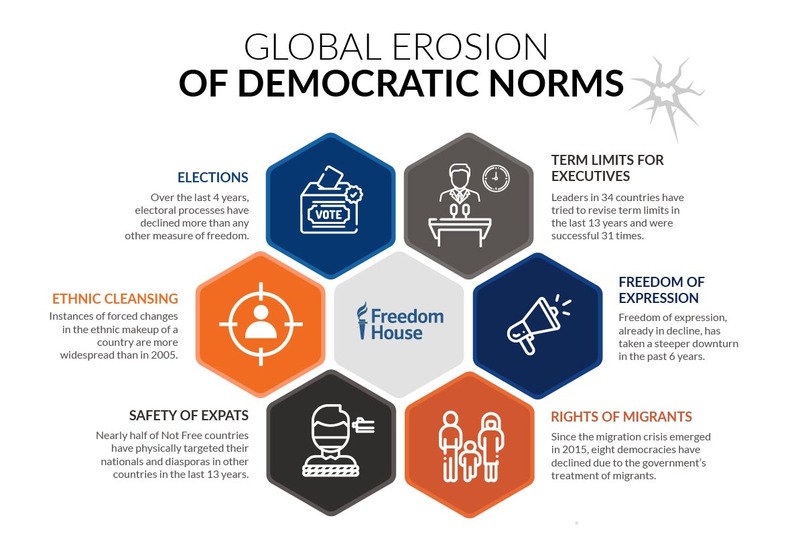 Freedom House‘s annual report 2019, which in fact covers 2018!, is out. 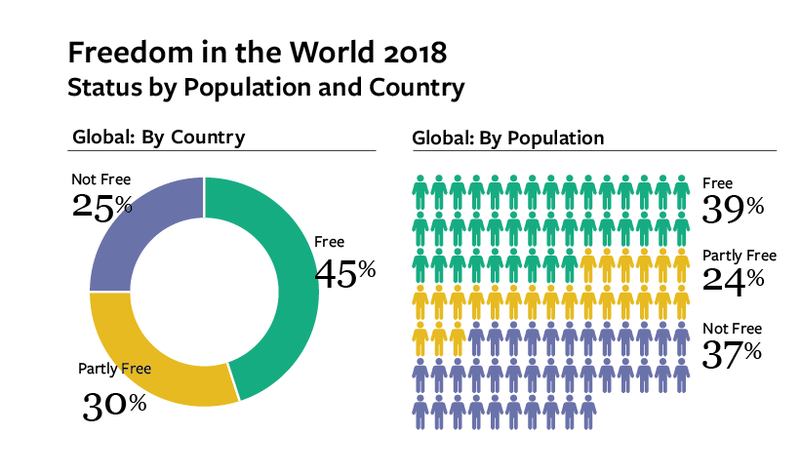 It concludes that in 2018 Freedom in the World recorded the 13th consecutive year of decline in global freedom. The reversal has spanned a variety of countries in every region, from long-standing democracies like the United States to consolidated authoritarian regimes like China and Russia. The overall losses are still shallow compared with the gains of the late 20th century, but the pattern is consistent and ominous. The report concludes with a special chapter on the US (see below). For other annual reports 2018, see: https://humanrightsdefenders.blog/tag/annual-report-2018/. 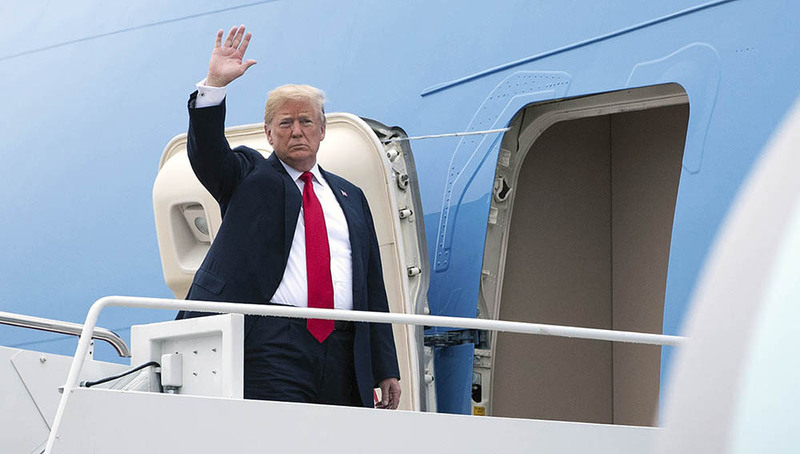 U.S. President Donald Trump Photo credit: Kevin Dietsch-Pool/Getty Images. ….And just as we have called out foreign leaders for undermining democratic norms in their countries, we must draw attention to the same sorts of warning signs in our own country. 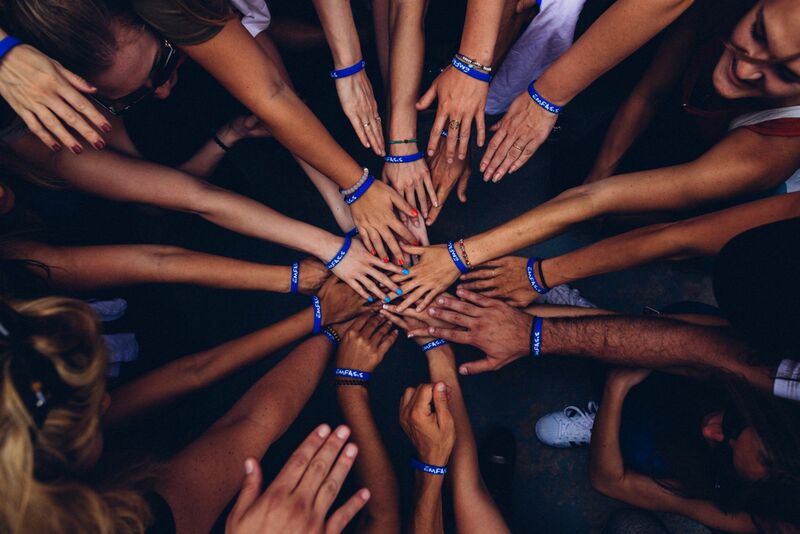 It is in keeping with our mission, and given the irreplaceable role of the United States as a champion of global freedom, it is a priority we cannot afford to ignore. 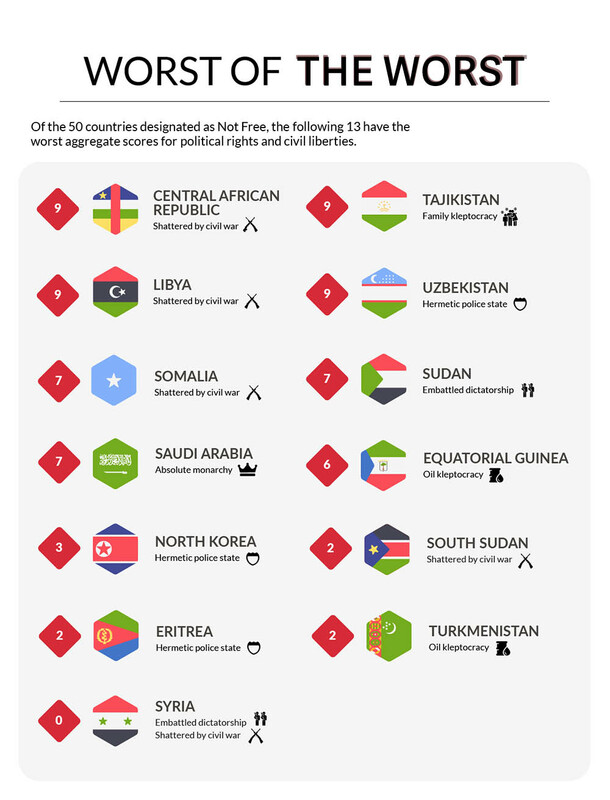 … While the United States suffered an unusual three-point drop on Freedom in the World’s 100-point scale for 2017, there was no additional net decline for 2018, and the total score of 86 still places the country firmly in the report’s Free category. 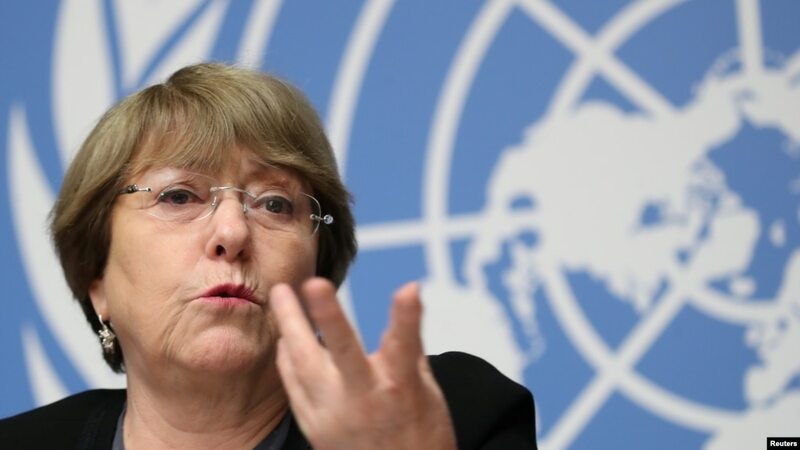 ….The United States has already been weakened by declines in the rule of law, the conduct of elections, and safeguards against corruption, among other important indicators measured by Freedom in the World. 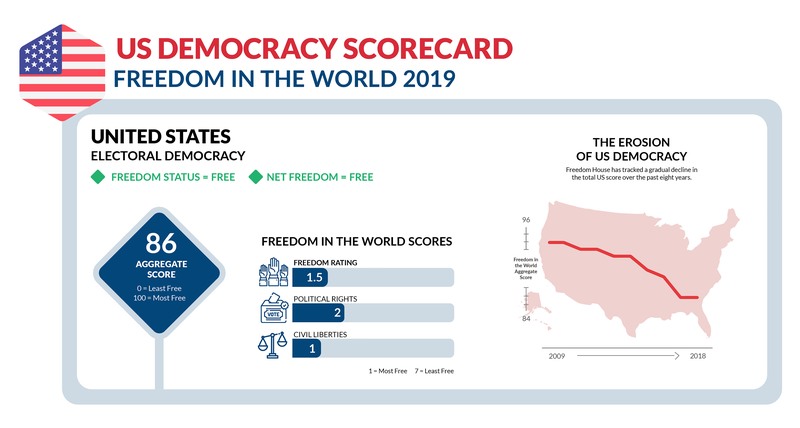 The current overall US score puts American democracy closer to struggling counterparts like Croatia than to traditional peers such as Germany or the United Kingdom. ……In any democracy, it is the role of independent judges and prosecutors to defend the supremacy and continuity of constitutional law against excesses by elected officials, to ensure that individual rights are not abused by hostile majorities or other powerful interests, and to prevent the politicization of justice so that competing parties can alternate in office without fear of unfair retribution. While not without problems, the United States has enjoyed a strong tradition of respect for the rule of law. NEITHER DESPAIR NOR COMPLACENCY: Ours is a well-established and resilient democracy, and we can see the effect of its antibodies on the viruses infecting it. The judiciary has repeatedly checked the power of the president, and the press has exposed his actions to public scrutiny. Protests and other forms of civic mobilization against administration policies are large and robust. More people turned out for the midterm elections than in previous years, and there is a growing awareness of the threat that authoritarian practices pose to Americans. 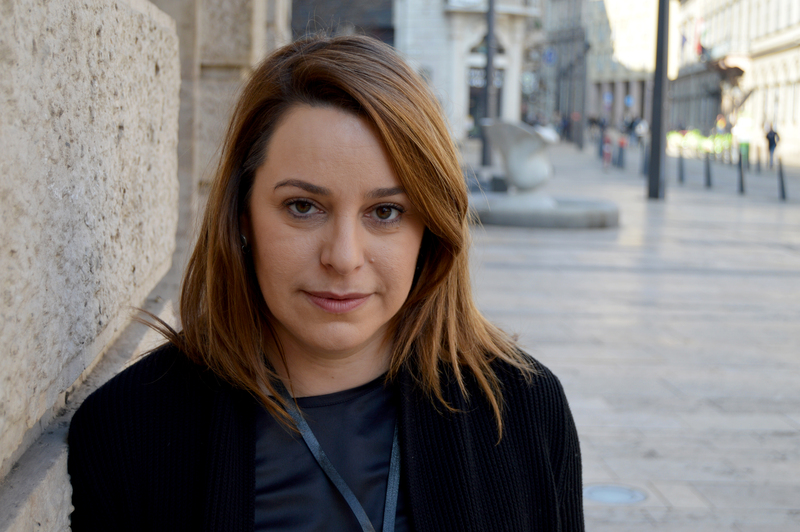 Are Human Rights Defenders making a comeback? Kenneth Roth thinks so!